There is no other zoo like Australia Zoo! 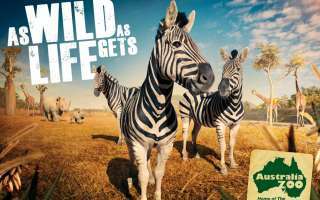 We pack in stacks of wildlife action every day and move at a great rate of knots to bring you the most action-packed LIVE shows and exciting encounters with our amazing animals. Take a look at our show times to get the lowdown on the action in the Crocoseum, check out admission prices and be sure to take on board our handy suggestions to help Plan Your Day! Underwater World SEA LIFE Mooloolaba is a multi-award winning aquarium located just north of Brisbane on Queensland`s beautiful Sunshine Coast and is one of the top tourist attractions on the beautiful Sunshine Coast. With 16 themed zones visitors have the unique opportunity to explore the world of SEA LIFE including the new Jellyfish Kingdom, Seahorse Sanctuary, Tidal Touch Pools, Seal Island, Otter Empire, Freshwater Streams, Pacific Reef, Coastal Wreck, Billabongs, Shark Shipwreck, Coral Cove, Bay of Rays, Turtle Temple, Crawly Creatures and the Conservation Cove – highlighting our initiatives in `Breed, Rescue, Protect`! Discover thousands of marine and freshwater animals including, Asian small-clawed otters, our family of seals, sawfish and tropical reef fish without getting your feet wet. Discount Car Hire for long & short term rentals. 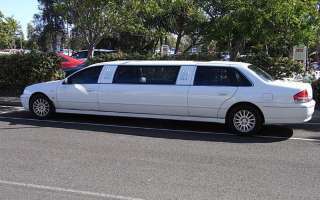 Sunshine Coast Car Hire will meet up at the Sunshine Cosat Airport and hire you good reliable cars or 8 seaters and 12 seaters mini vans take you anywhere around the Sunshine Coast and beyond. Book your car hire via our tour desk or call us for any queries. 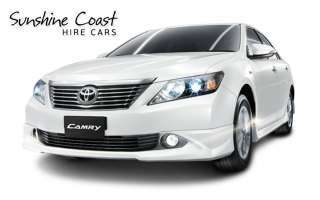 Sunshine Coast Hire Car Rentals supply a wide range reliable, clean rental cars. All Hire cars have Air Conditioning, power steering and are automatic. 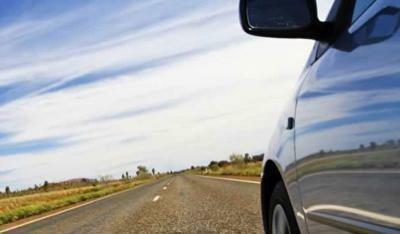 Most of the fleet are about 5 – 10 years old and that is why you get the best value car hire on the Sunshine Coast. We also offer free roadside assistance in the case of an emergency. 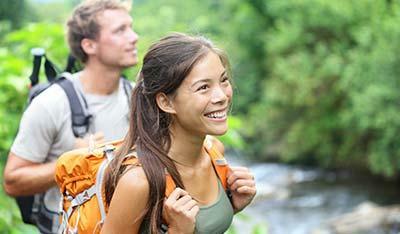 Cheapest Sunshine Coast Car Hire - Priced From $25 per day. Whether you are looking for short or long-term car hire for the Sunshine Coast, Sunshine Coast Hire Car rentals will provide you with service and more service at true unbeatable prices. The Noosa Ferry Cruise Company operates a daily ferry cruise service between the historic riverside town of Tewantin and Noosa Heads Cruise along the beautiful waterways past Noosaville (with great views across to Noosa's north shore) and Noosa Sound into the heart of Noosa Heads with it's famous beaches, shopping, eateries and national park. With departures all day, every day from six different points along the route you can join us at a place and time to suit your itinerary. 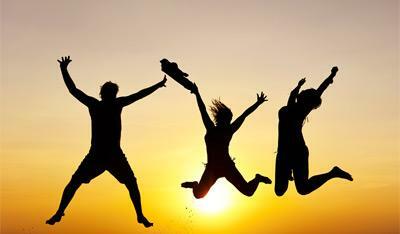 Our great value '3 Day Pass' and Week Pass lets you enjoy all that Noosa has to offer at your leisure. 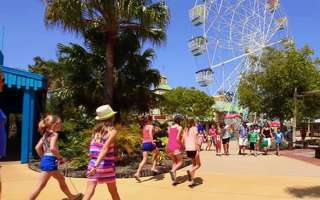 Go to the beach, shop, walk, take the kids for a swim, stop for lunch, spot a sea eagle, see Queensland's most expensive island homes or just sit back and enjoy the ride- then BYO and take in the sunset ferry to dinner. You can do it all on our beautiful riverboats. 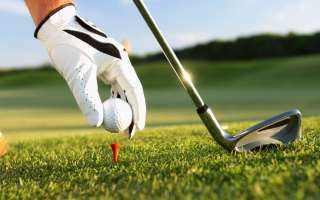 Premier Golf Adventures on the Sunhine Coast, Queensland can organise your complete personalised golf package on the Sunshine Coast or the Gold Coast. Which can include transfers, golf course bookings, reserved tee times, motorised carts. 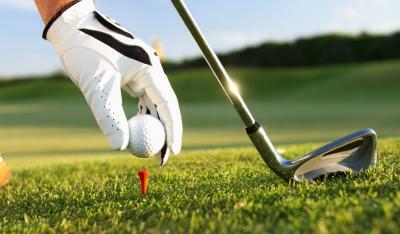 They can even book self drive packages for golfers at discounted green fee rates at each golf course. Are you looking for thrills and spills? Then you’ve found it all at Aussie World – slap bang in the middle of the Sunshine Coast on the Bruce Highway. There are rides that will get you soaked! There are rides that will make you green and dizzy! There are simulators and slides, bumps and coasters! And of course there is the Aussie charm of the Ettamogah Pub. With so many thrilling rides and games we're a FANTASTIC day out for the entire family! 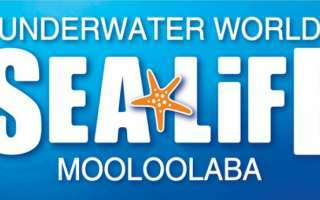 Cruise Mooloolaba Canels and River - Relax in comfort with a Mooloolaba Seafood Lunch sunset cruises or experience the wonders of the Mooloolaba Eco Cruise. 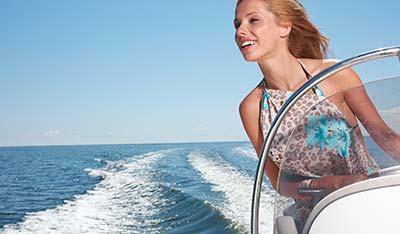 Cruise Mooloolaba offers Seafood lunch cruises, Sunset Cruises, private chargers and a nature experience. 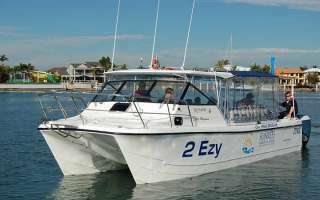 in this unique 2 hour Mooloolaba Eco Cruise or see how the rich and famous live while sipping champagne on the Mooloolaba Canel Cruise or Sunset Cruise. The most exciting Mooloolaba Charter cruise to do when you are on holidays or want the Mooloolaba romantic sunset cruise. Fraser Island is the world's largest sand island, 123 km long by 15 km wide. It was World Heritage Listed in 1992 after a bitter struggle between conservationists, sand mining and logging interests. It is composed almost entirely of vegetation covered sand, with over 40 freshwater lakes and dense rainforest. Our tours take you into the best areas of this environmentally sensitive region and discover its precious eco-systems, abundant wildlife and natural beauty. prehistoric ferns, mosaic coloured sands. Richard Wilschke – better known as Ricardo – owns Gondolas of Noosa and runs romantic gondola cruises along Noosa’s River and canals. This Venetian inspired gondola is the perfect setting for any special occasion. As a couple you can share this most intimate adventure in absolute privacy, even from your gondolier. The Gondola will seat up to six people, so bring your family or friends, a bottle or two of your favourite vino and enjoy the scenery. Sure to impress the most discerning traveller, the designer homes set in this natural environment, make an exotic start for an unforgettable experience. 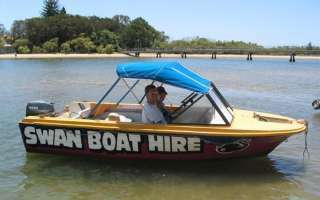 Gondolas Noosa picks-up from Sheraton Noosa Resort or Quamby Place, Noosa Sound. The perfect way to experience the beauty of the Noosa Waterways, and a perfect prelude to dinner, the Gondolas of Noosa is an unforgetable experience. Join us for a memorable day Offshore Fishing in Noosa. We fish on Noosa Offshore Reefs where many fishing dreams have been filled! 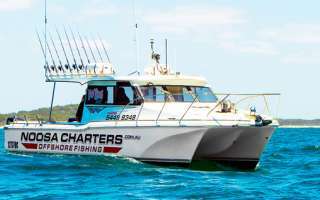 Our local Skipper has over 20 years experience in the Noosa area, and can take you to all of our spots on the Noosa Offshore fishing Reefs to hook up…Noosa fishing Charters have never been this easy! Fish for Snapper, Pearl Perch, Sweetlip, Cobia, Parrot, Marlin, Mackeral (Spotty & Spanish) and more of the Sunshine Coasts species in our 11.3 metre custom built fishing boat Wild Thing. Wild Thing boasts more room per angler than any other offshore fishing boat in Noosa! Come and see why our clients keep coming back and fishing Noosa aboard Wild Thing and telling us that it is like fishing with their mates! If you are looking to catch the big one in Noosa, look no further than Noosa Charters. 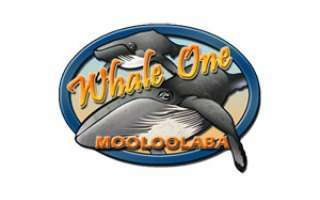 Whale One Pty Ltd is the premier luxury charter business on Queensland’s Sunshine Coast. Just 1 hour North of Brisbane and 1 hour South of Noosa. For amazing whale watching adventures, relaxing sunset cruises, awesome harbour and canal cruises or that special private function, Whale One is Number One. Our comfortable 20 meter catamaran is licensed for 120 passengers with huge decks and cabin areas for all your function requirements. 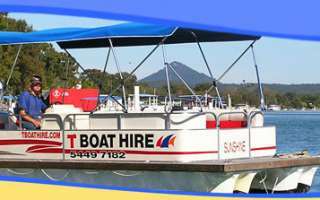 Hire on of our vessels and cruise, fish or sail the canals and lakes of the magnificent Noosa River. The beautiful Noosa River has over 40 kilometres of pristine waterways that await you. Explore the river, fish the lower reaches on one of our numerous variety of boats or take a sail, paddle or jet ski......the choice is yours. We hire fish boats, runabouts, catamarans, (16 and 18ft) half cabins, BBQ pontoons, kayaks (single and double), centre consoles boats, peddle boats and jet skis....absolutely something for everyone. Fishing the full length of the beautiful Noosa river from salt to fresh water, depending on the targeted species. 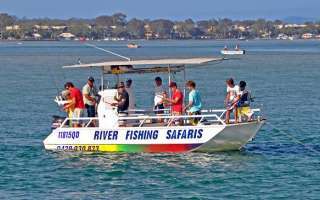 Weather permitting, we will fish Laguna Bay and our local reefs and all year round the Noosa River system, Lake Macdonald & Lake Borumba. We supply high quality rods and reels and cater for all levels of experience. We are a two boat operation catering for all your fishing needs from children and adults wanting to learn to fish or enjoy a fun time on the water, to the experienced angler, we have a charter option for everyone. Our charters range from 2hr and half day river group charters or discounted sole bookings for a family or friend group. We also offer personalised sports fishing charters fly, lure, soft plastic and live bait in the Noosa River, Lake Macdonald and Lake Borumba. Or offshore light tackle sports fishing for tuna, mackerel and reef species. Becky, our river boat is a 7 metre Cairns Custom Craft. The absolute limousine for fishing on the Noosa River. Becky has a full sun canopy with toilet facilities, large casting platform on bow, live fish and live bait holding tanks and is powered by eco-friendly 140 hp Suzuki four stroke engine. This boat is surveyed for 14 people but we only take up to 12 for your comfort. Becky II is a dedicated sports fishing boat. 5 metres long, glass over ply construction and Min Kota equipment, leaves this boat streets ahead of the pack when it comes to stealth and stability. It is also powered by an eco-friendly four stroke 50 hp Yamaha. A trailer boat set-up to travel to the more remote fishing locations in the area. Experience magnificent Noosa from its postcard pretty waterways. No itineraries to adhere to, just take off, find your own little patch of paradise, drop the anchor, layback and relax. Choose from our large range of modern boats. With the map provided, you can take off and cruise Noosa`s beautiful canal system, and pick out your dream home on the waterfront, take time out to stop for refreshments at Hastings Street. 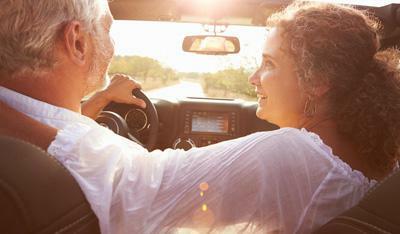 If it takes your fancy, motor over and relax in the natural beauty of Noosa`s North Shore. An ideal swimming, picnic and fishing destination. Then again, you can drop your anchor, drop a line and sit back and watch the world go by while you catch your dinner. 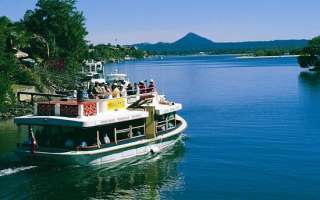 Or, if you like, to while away the hours, cruise upstream past the historic town of Tewantin, on your way to the lakes and upper reaches or the Noosa river and enjoy the wildlife and natural beauty of this pristine river system. 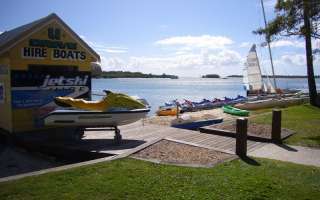 The Bli Bli Watersports Complex is located on 50 acres of land bordering the Maroochy River and David Low Way and has been operating from this location for 26 years. 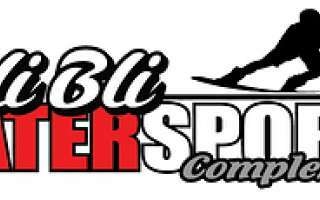 Originally built as a Waterski Cable Park the business has grown and evolved over its many years of operation and now, under new ownership and management, continues to service both the tourist and the local market. The addition of new activities and new structures now make the park an attractive and enjoyable place to relax, to exercise and even to compete, for people of ALL ages and ALL ability levels. The WAKE PARK offers a fun low cost way to learn and enjoy waterskiing, wakeboarding or kneeboarding from ages 10 up to 70 during normal opening hours. The new KIDS CLUB programme extends the Wake Park experience to the younger ones, ages 6 to 14 and operates during holiday periods and special days. The AQUA Park is great for all ages but a particular favourite of the younger ones and great for group bookings and birthday parties. The Barra Fish Farm is the ONLY Barramundi fishing park in SE Qld and home to one of the most sort after sport fishing experiences in the country. Catch yourself a WHOPPER Barramundi!! And if all this activity wears you out why not relax on our scenic decks and enjoy a cup of coffee from our café or even a drink from our fully licensed bar. Or you could just wander the lake foreshores as you enjoy your day out!! The Big Kart Track on QLD's Sunshine Coast is the largest commercial go-kart track in Australia. With tracks for kids to cater to the whole family combined with the main attraction - an international standard race track, capable of running 50 go-karts at one time, with 1.2km of track - this venue has got it all. Straights, bends, chicanes, and hair-rising hairpins. 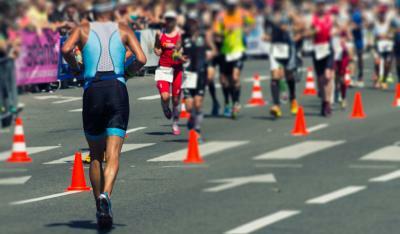 Find the rush you desire. 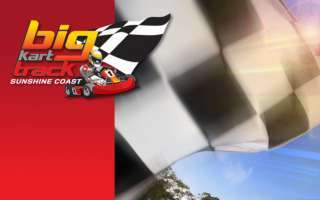 Multiple different length packages are available for the Sunshine Coast's Big Kart Track, ranging from 15 minutes all the way up to an entire hour's worth of go karting fun! With bookings only required if you are looking to bring 12 or more people. Experience the best fun on the water at Noosa with Noosa Jet Ski Hire. Ride the latest model high performance eco-friendly Jet Skis - on the Beautiful Noosa River and on the Ocean. 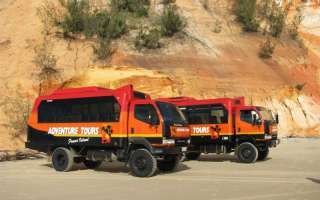 Tours also available and no license is required. Drivers age from 14 on the River and 16 in the Ocean. 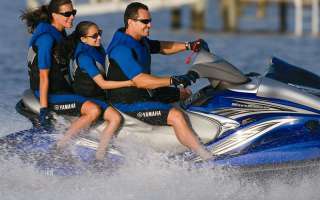 You can easliy find Noosa Jet Ski Hire at U Drive Hire Boats, 256 Gympie Terrace, Sunshine Coast. Sunreef Scuba Diving Services is located at Mooloolaba on the Sunshine Coast Queensland, Australia. Servicing from Noosa to Brisbane, Sunreef is a PADI 5 Star Dive Facility that caters to all Scuba divers. Sunreef Scuba Diving Services is the longest established dive shop on the Sunshine Coast. As one of the biggest and most modern dive centres in South East Queensland, we provide PADI dive training, Dives on the HMAS Brisbane and other exciting dive trips,equipment sales, service and rental, and of course a range of superb dive experiences locally, interstate & Internationally. The Sunshine Coast boasts one of the most diverse and beautiful reef and eco systems. You don't have to travel to the Great Barrier Reef to share the wonders. Click here to view more info on the local reefs. Dive with safety and comfort knowing you receive professional and personalised service. Experience the wonderful Maroochy River, one of the Sunshine Coast's premier recreation areas - the Aboriginal word 'Maroochy' means 'Place of Black Swans' which features highly in Aboriginal legend. The river and its many estuaries offer many diverse areas for fishing, sight seeing, observing nature, having a picnic or just relaxing in your own patch of beauty. The river is well known as a popular fishing ground with bream, whiting and flathead being the main catch. Tailor, mullet, mangrove jack and black bream (luderick) are also caught in the winter months, and jew are caught in the area around the Cod Hole. You can obtain tackle and a full range of live, fresh and frozen bait for your fishing needs from our shop. Discover the unique environment of the river system which is navigable up beyond Dunethin Rock picnic area (approximately 20km from the river mouth). Pack a picnic lunch or pick up snacks and drinks from our shop and cruise the river or enjoy lunch at one of the hotels or restaurants where there are safe moorings. All prices shown are off peak and additional charge are applicable During Scool Holidays, Christmas, Easter & Public holidays. 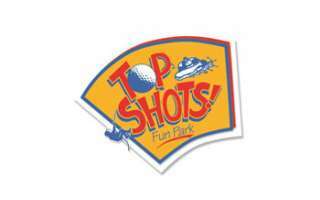 A fabulous adventure park for all the family, Top Shots is hours of fun with the Sunshine Coast's best two 18 Hole Mini Golf Courses, Blaster Boats (just like dodgem cars on water with spray guns), Extreme Vertical Trampoline, Indoor Rock Climbing Wall and Video Games Arcade with terrific fast food! Marcoola Surf Life Saving Club is a family oriented club with membership from Nippers through to Masters and members are encouraged to take part in activities ranging from patrolling through to competing and social activities. 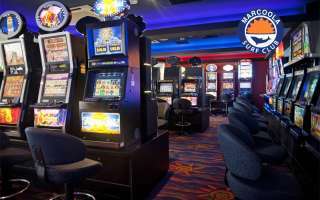 The club also offers a number of facilities for Active Members including bunk rooms and kitchen facilities for those who don’t live in the local area. Upstairs in the Supporters Club is a great place to catch up with family and friends. Delicious meals are served 7 days a week for you to enjoy while sipping on your favourite drink overlooking the ocean. Visitors are always welcome. Robbie Sherwells Surfing Academy on the Sunshine Coast has been operating since 1999 with great success. Providing a high standard of FUN, SURF SENSE, SUN SAFETY, SURFBOARD RIDING TECHNIQUE. The XL Surfing Academy offers specialised training and professional coaching to persons wishing to learn or advance their surfing skills. Lead by one of Australia’s top professional surfers, our team guarantees to spark enthusiasm, while teaching beginners to surf at two of Queensland’s most beautiful beaches. XL Surfing Academy offers the ambitioned traveler the chance to experience a lifestyle with an edge. The academy educates those wanting to step into a zone of challenge by teaching the skill of surfing while indulging in the Australian culture.